3D does not have to be dramatic – an understated look can be just as effective. 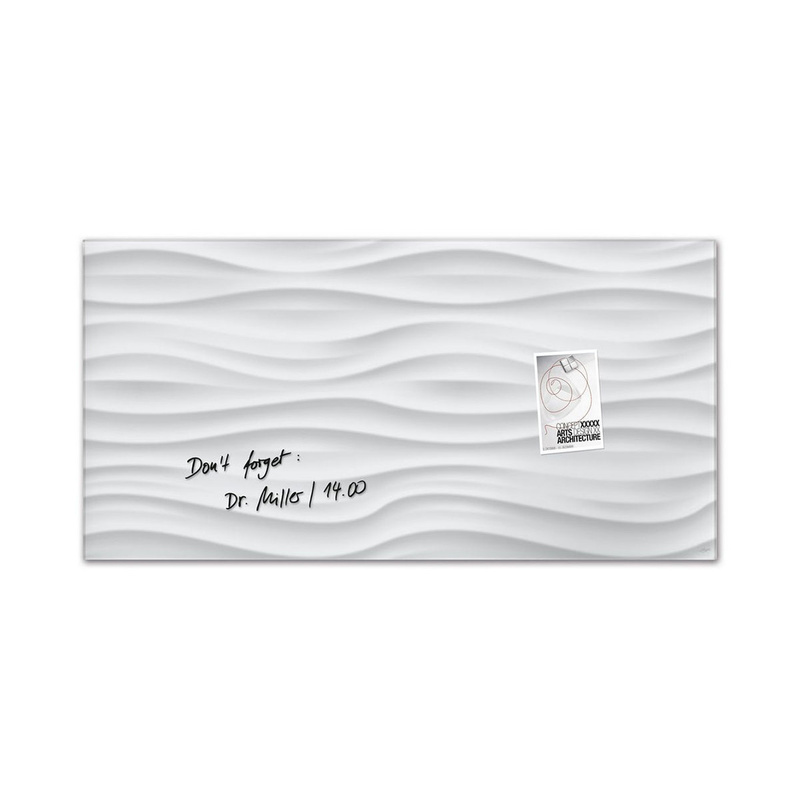 In the “White Wave” design, gentle, elegant white waves with touches of grey roll across high-quality tempered glass. The artverum® Magnetic Glass Boards in the unusual wide-screen format make a modern statement. The centre of attention in any room, this winner of numerous international design awards is ideal as a board for planning and information, both in the office and at home. They are all about aesthetics and outstanding when it comes to safety and quality. The surface, made of polished tempered glass, appears to float in front of the wall. Sigel gives a 25-year guarantee that the surface will remain perfect to write on and easy to clean. When Sigel accessories are used, e.g. the chalk markers and microfibre clot, the magnetic board can be written on over and over again, yet kept free of smudges and chalk residue. Each board includes 2 extra-strong SuperDym magnets and safe mounting fittings. Information: only SuperDym magnets work on the board.